Renee Watson - Legal assistant Attorney Anne E. Burke. Renée brings 22 years of legal support experience to the law firm of Burke McClasky Stevens. Renée attended the University of Missouri – Kansas City. She began her legal career working for a court reporting firm. 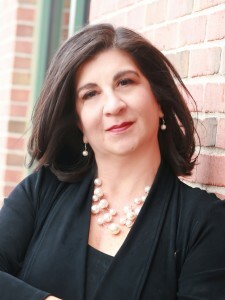 Renée’s experience in family law began in 2004. She believes that it is important to remember that people getting divorced are going through one of the most difficult times in their lives and should be treated accordingly. She is the executive legal assistant to firm partner, Anne E. Burke. Renée lives in Leawood, Kansas. Her interests include, walking, playing tennis, her dog, gardening, and enjoying life with her adult children, family and friends. She is an active fundraiser for the Leukemia and Lymphoma Society and is involved in her church, Curé of Ars.